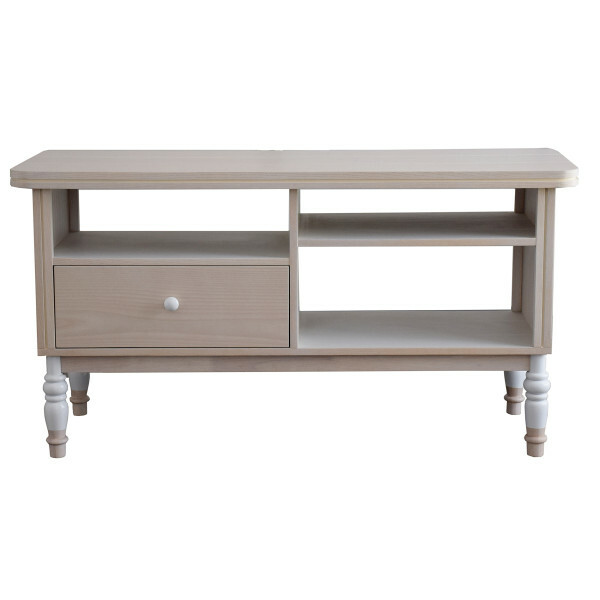 Plank TV Console is a small entertainment unit that comes in a dual colour tone of natural wood & white legs. 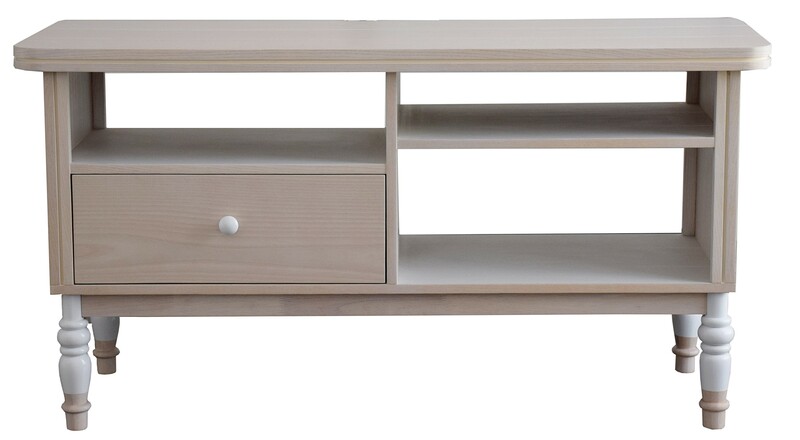 It has a sturdy built but has a light and pleasant look. Small Entertainment Unit in Oak Wood Veneer, Natural Colour.